I have been working on a mod to the Iron Man table and hit a snag. I decided to repeat the two lane lights on the backwall because it is difficult to see the lights on the playfield. I drew a green box around the lane lights in the screen shot below. The problem is that the lights I added to the backwall don't look very good. I drew a pink box around the lights I added on the backwall to the screen shot below. I normally would have added the same round lights to the backwall section of the translite but the playfield has objects that block the view of it so I have to add the lights in front of the playfield objects. The only way I could figure out to add the lights is to add the lens textures to a wall and put an unrendered flasher in front of it. It functions but doesn't look so hot. Does anyone have any ideas to improve it? but if you send to me...I'll try to have a look. I have not learned table design stuff...but have a few ideas. I am sure what you are asking is easily done by Wild, Popotte , franzleo and others. and of course I can always use the identical light objects/settings to what's on playfield and put them beside the table and grab them as a miniplayfield to put them where you want...but that is likely a "cop out"
I did not understand what your problem is......did you put the lights on the forehead in overlay?and you see them dark? The short story is the light needs to be mounted on a wall and not on a surface. I would normally just add a round light to the bottom of the Translite and it would be visible on the back wall. ...But the view of the bottom of the Translite (or back wall as some call it) is blocked by objects on the playfield. 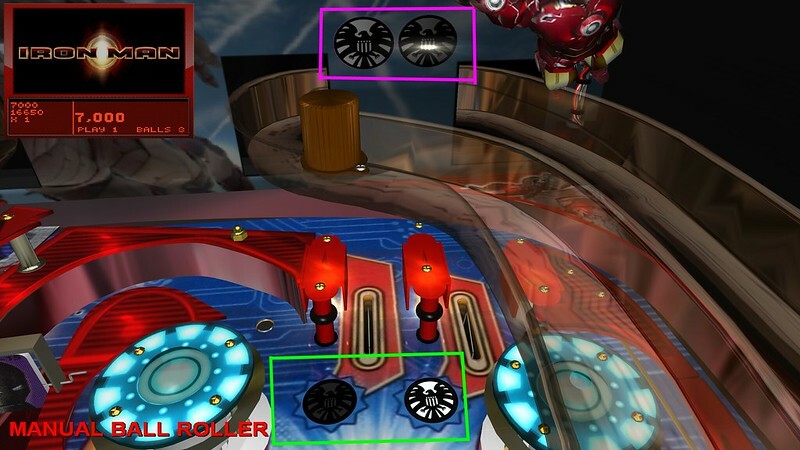 So the light must be mounted on the front of the objects on the playfield. I think the simplest fix would be to add a model of a round light that could mounted vertically. I have never seen such a model though. It would be great if someone could create a model like this but it is beyond my skill level. Can a light image be turned vertically? I don't have much experience with it. I have not understood well yet .... but I think I want you a model, so it could be like this.. It looks much better. How did you do that? Be aware that I can't added it to the translite. It must be mounted to a wall on the playfield in front of the translite. in fact this is put on a wall just under the translite ..... but you can put it wherever you want, is a bulb this model. how did i do it?in reality.... it is very simple george, obviously for those who can use a little milkshape.I have just taken a flash as a model, reduced it, rotated it, and incorporated the texture (taken from the table) and then transformed it with FPM editor in bulb. now I do not like the reflection of light (halo) but maybe I have a solution, but I have to test it...before.... stey tuned. More simple. You create a round light in the translite and put it under the translite.